Our budgie, Sunny—who's gotten her own press coverage—is pretty smart. 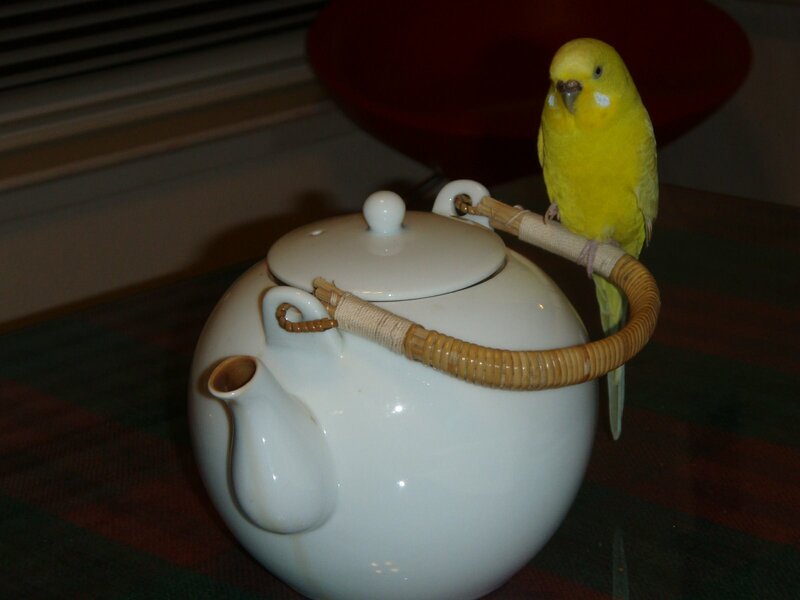 She's figured out that a teapot full of hot green tea is a nice, toasty spot to get warm. On cold nights, whenever she sees a teapot on the table, she flies over and perches on the handle. "Mmm ... nice and warm."